As Iran lies directly in the path of the world’s largest flow of narcotics, the country suffers from the large number of young drug addicts. According to the latest statistics released by Iran’s Drug Control Headquarters, the average age of drug abusers has been decreased from 23.5 to 21. Also around 45% of users are under the age of 29 and 30% of them are aged between 30 to 39. Iran’s police, who is responsible for DCHQ department, had conducted the similar studies six years ago. Today’s results are worse than the previous ones and this shows the weak points of Iran police. 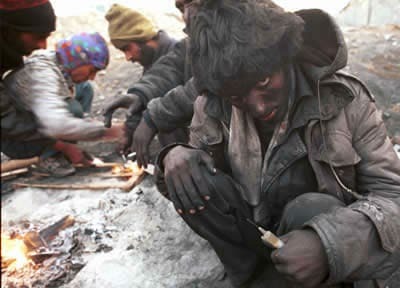 Base on the released information, Iran has more than 1,325,000 drug addicts. The number has increased in compare to six years ago while the total number of drug abusers was reported less than 1,200,000 in the Middle Eastern country. “The model of narcotic consumption has been changed in compare to several years ago. Now abusers prefer to consume modern and cheap narcotics like crystal.” the report suggests. It’s worth noting that some analysts describe Iran’s heroin addiction problem as the “worst in the world.” Estimates of the number of addicts vary widely from one million to more than three million habitual drug users. Previously the Iranian police chief said about 130000 people in Iran become addicted to drugs each year.